Feeling the spirit? 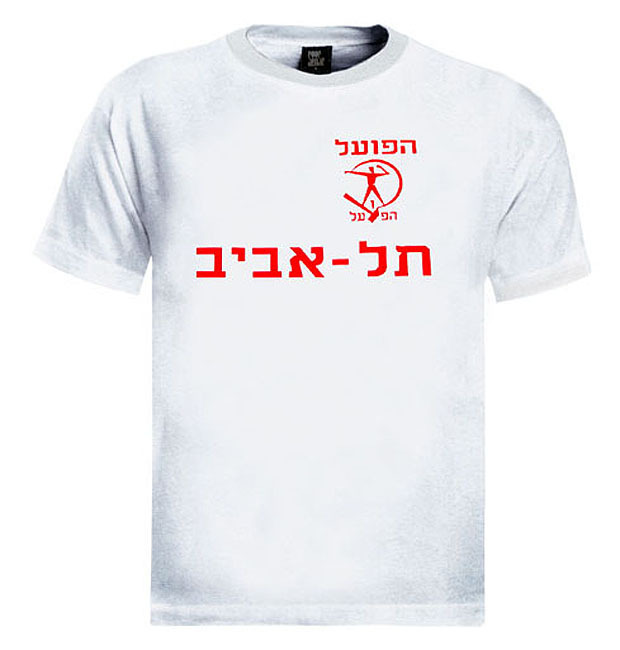 We offer you a 100% Combed-Cotton (High-Quality Cotton) white T-shirt with HaPoel Tel Aviv Soccer team logo printed in red. We use the best quality materials to live up to our 100% Satisfaction Guarantee. Our basic t-shirts are made of 100% preshrunk ringspun cotton, more expensive than its peers because of its softness and high quality cut and weight. Note: 100% cotton shirts may shrink up to one full size, even if preshrunk..